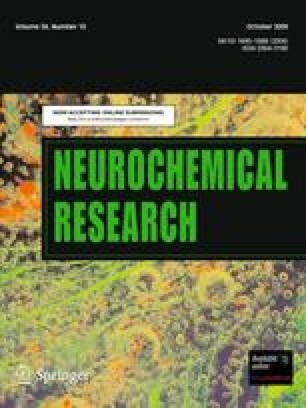 Neurotransmitter l-glutamate released at central synapses is taken up and “recycled” by astrocytes using glutamate transporter molecules such as GLAST and GLT. Glutamate transport is essential for prevention of glutamate neurotoxicity, it is a key regulator of neurotransmitter metabolism and may contribute to mechanisms through which neurons and glia communicate with each other. Using immunocytochemistry and image analysis we have found that extracellular d-aspartate (a typical substrate for glutamate transport) can cause redistribution of GLAST from cytoplasm to the cell membrane. The process appears to involve phosphorylation/dephosphorylation and requires intact cytoskeleton. Glutamate transport ligands l -trans-pyrrolidine-2,4-dicarboxylate and dl-threo-3-benzyloxyaspartate but not anti,endo-3,4-methanopyrrolidine dicarboxylate have produced similar redistribution of GLAST. Several representative ligands for glutamate receptors whether of ionotropic or metabotropic type, were found to have no effect. In addition, extracellular ATP induced formation of GLAST clusters in the cell membranes by a process apparently mediated by P2 receptors. The present data suggest that GLAST can rapidly and specifically respond to changes in the cellular environment thus potentially helping to fine-tune the functions of astrocytes. The authors J.-W. Shin and K. T. D. Nguyen have contributed equally. The project was supported by a grant from the Australian Health Management Fund (VJB) and by a Sydney University Sesquicentennial Grant (VJB).